How to Pick a Crystal is a VERY common query that we get in store all the time!! There really is no one, definitive answer either. Everyone is different in the way that they will pick their crystals and minerals. Many people will ‘feel’ for the energy of the stone by either holding it in their hand or placing a hand over it and waiting for a sensation of hot or cold or a sense of wellbeing. Some will pick visually, paying attention to what stands out the most to them. 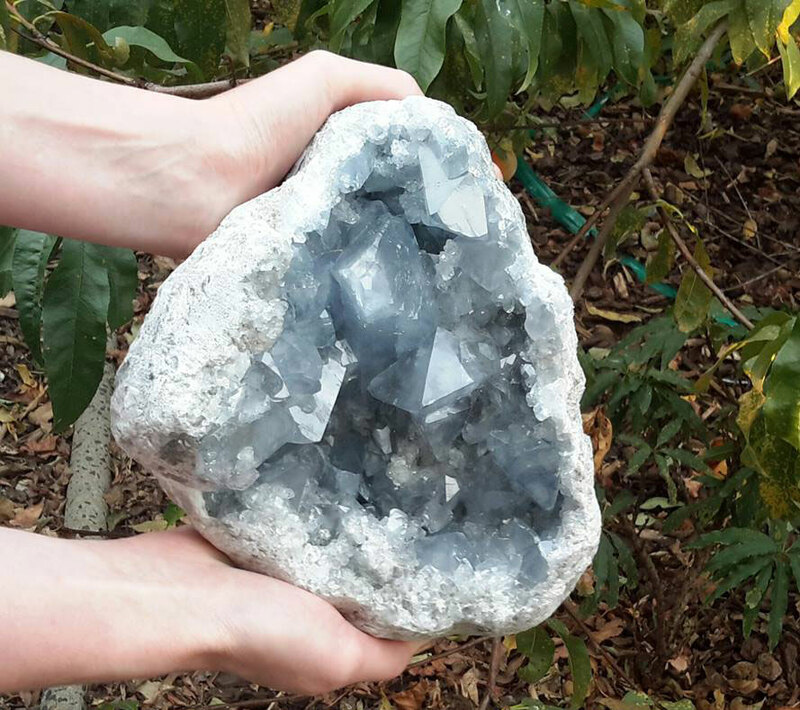 It may seem that you just can’t look away from one particular crystal. These methods are intuitive and often very effective. If picking for someone other than yourself using these methods, simply bring the person you are choosing for to mind while you look. Some prefer to first consult books to see what the different stones are said to assist them with and make a selection based on what they feel they need the most help with. Once a book has been consulted in this way you may have a list of several crystals to choose from and can then decide which you are most attracted to. If you frequently use pendulums you may even use a pendulum to assist in your decision. Whichever way makes the most sense to you, what we do find is that crystals and minerals will play on your mind. If you can’t stop thinking about them they may just be a very good choice for you!